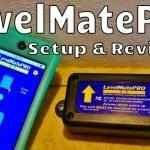 A little over a year ago I reviewed a product called the LevelMatePro. 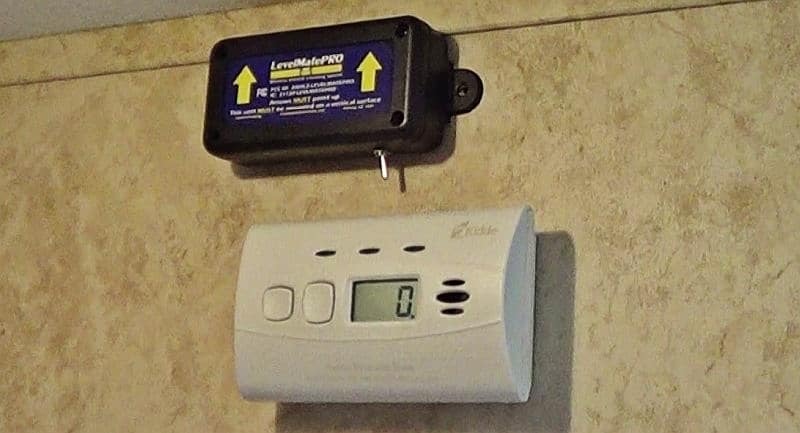 The LevelMatePro is a digital RV leveling aid accessed through an app running on your smartphone or tablet. 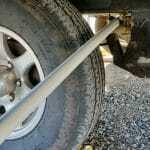 The device worked exceptionally well I thought and has proved useful in our travels. I especially like the fact I can see the trailers level in real time from the cab of the truck. 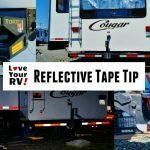 It’s made finding a level spot in a campsite, parking lot or boondocking location that much easier. One issue that cropped early on though was battery life. 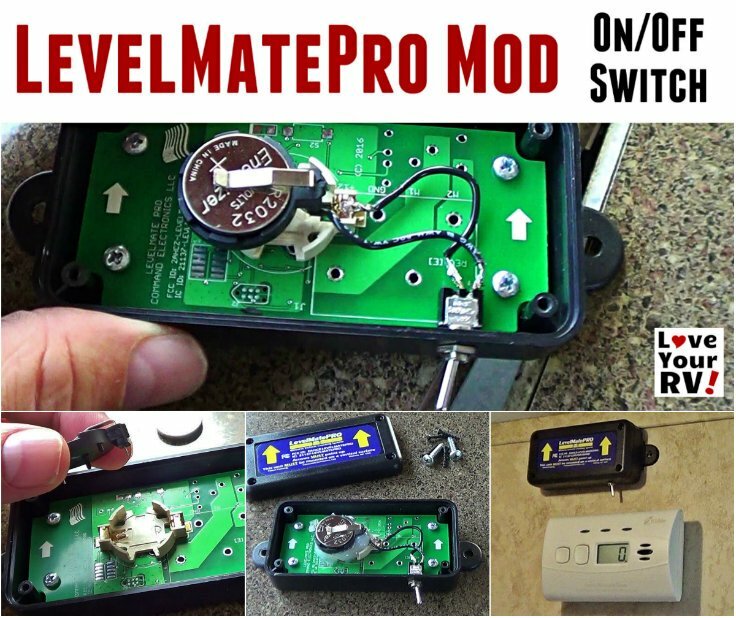 The LevelMatePro uses a small button battery (CR2032) for power. The first one lasted about a month, not that great. The company must have been aware of the problem as they soon released an update to the app allowing control over the time to sleep. In sleep mode, the device uses very little power and wakes on any detected motion. By setting the time to sleep to one hour, I was able to extend the battery life to about three months. 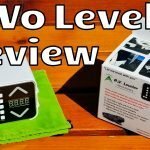 Recently I noticed a new 2nd generation of the LevelMatePro had been released incorporating an on/off switch for complete control of the battery life. 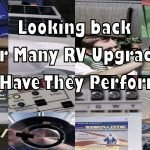 They were providing a “Customer Loyalty Upgrade Offer” 95 dollars to get the new version (you get to keep the old unit). Seemed a little steep to me, so I decided to mod my existing unit and add a power switch myself. 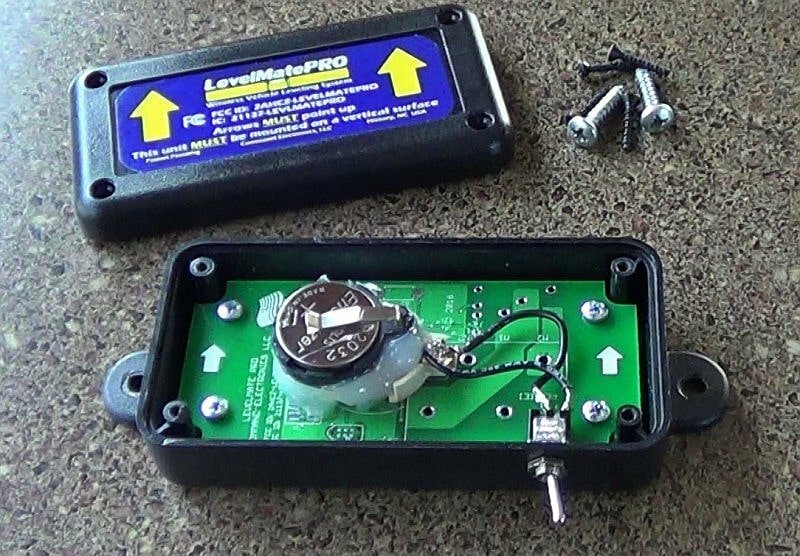 My goal was to add a switch which would essentially remove the battery from the circuit. 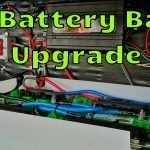 The battery holder is a board mounted affair making adding an inline switch a little tricky. 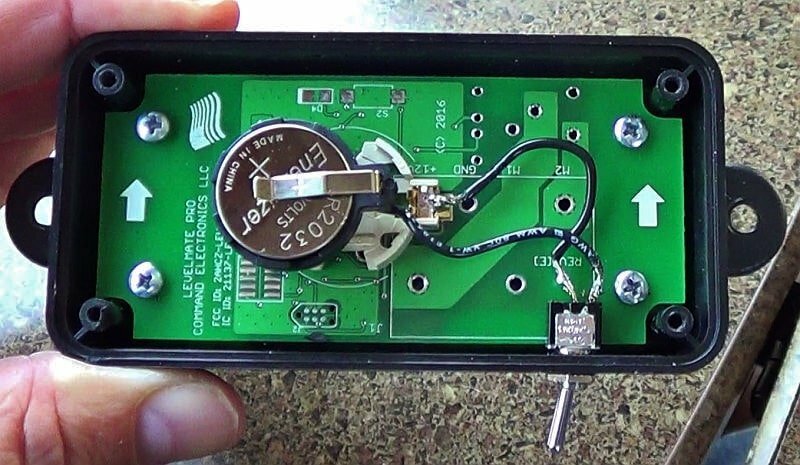 I could have found a circuit trace and cut it I suppose but settled on the idea of installing a second battery holder instead. Luckily there is a ton of extra space inside the enclosure. 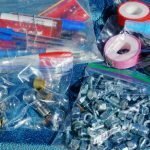 I purchased an inexpensive button battery holder and small toggle switch from a local electronics parts store and got to work. 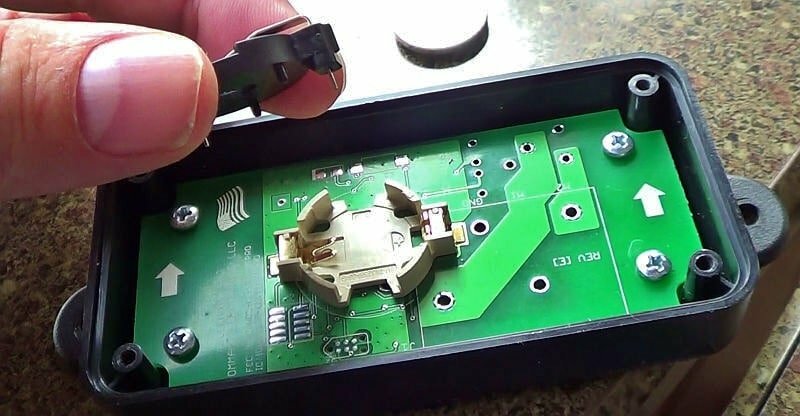 I soldered one end of the new battery holder to the negative terminal of the OEM holder. Next, I drilled a hole in the case and installed the toggle switch. Then soldered two wires, one to each of the two battery holders positive terminals. To complete the install, I embedded the new battery holder in silicone. I tested the new on/off switch out, and it worked like a charm. I also checked the broadcast range, no problem there.